Recently, a crook forced his way into a home at gunpoint and then pistol-whipped several of the residents badly. The crook then bound the victims with duct tape and proceeded to steal their television, cash, and other property by loading it into one of the victim’s pickup truck. While two of the victims were left tied and bound on the floor, one of the victims was untied and then kidnapped so that he could be taken to a check cashing business in order to get money from cashing the victim’s check. They drove to the business and there the suspect threatened to kill the victim if he did not go inside and cash a check. The scared victim did what he was told and got the money, but during the process managed to tell the store clerk that he was being kidnapped and robbed. After stealing the cash, the suspect along with the kidnapped victim, drove to a location where he met a second suspect who helped him unload the stolen property. 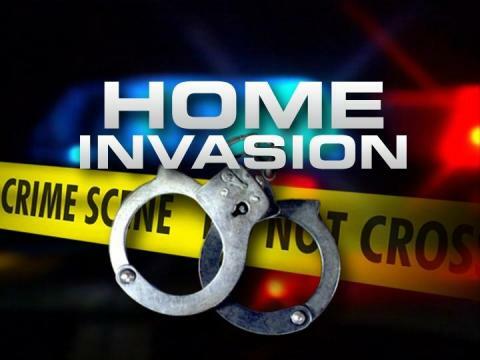 Once the property was unloaded, both suspects along with the kidnapped victim returned to the victim’s house so they could continue the robbery. One of the suspects took his own vehicle while the original suspect continued his crime spree in the stolen truck. Meanwhile back at the victim’s house, one of the duct taped victims had managed to get free from his restraints and called the police. He told the 911 operator that he had been robbed, his friend had been kidnapped, and they had left in a stolen pickup truck. Officer’s Gardner and Lyons were dispatched to the robbery call. As they arrived at the scene the suspect and the kidnapped victim in the stolen truck had returned to the parking lot of the victim’s home. Officer Gardner recognized the stolen pickup truck from the call taker’s description and attempted to stop the vehicle but the suspect took off at a high rate of speed, fleeing arrest. During the chase, the suspect forced the kidnapped victim to jump out of the moving vehicle at gunpoint. The pursuit continued at a high rate of speed until the suspect sideswiped a telephone pole, snapping the pole in half and damaging the truck so badly it could not be driven anymore. The suspect was subsequently taken into custody without incident. Officers Solorio and Linton went to the crime scene and assisted the kidnapped victim who had been forced out of the truck at gunpoint. Once the victim was safe, they were able to find and arrest the second suspect who still had possession of the stolen property. Officer Lyons went back to the victim’s home and found the two injured victims who still had duct tape on their wrists. He secured them medical attention and took their information to assist in the investigation. During the initial investigation of the scene, Officers Greenhaw and Waggoner provided assistance in completing many of the tasks associated with a scene of this magnitude. A large amount of evidence was recovered both at the wrecked vehicle scene, as well as at the second suspect’s house. 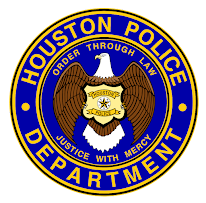 In conclusion, through teamwork, prompt response time, proactive scene investigation, and a commitment to following a case to its end, two violent, repeat offenders were taken off the streets of Houston by good police work. Therefore, HPD would like to commend these officers for a job well done. This is a perfect example of the outstanding job that police officers do on a daily basis. Law enforcement agencies throughout the country don't get the public recognition they so greatly deserve. 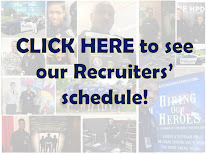 A huge thank you to these outstanding HPD police officers. Good job Houston PD. Way to do what you guys do.